Fully 3D printable OSSUM Jeep by John B « Adafruit Industries – Makers, hackers, artists, designers and engineers! 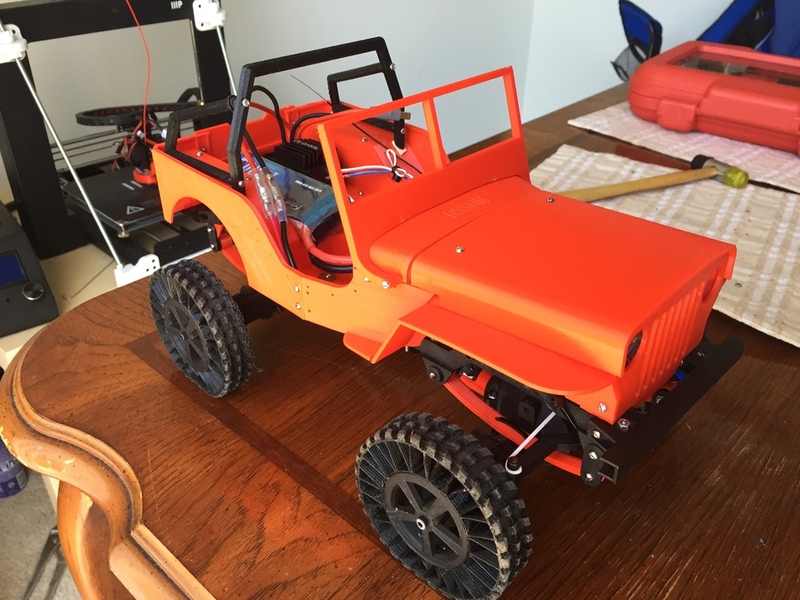 This project contains all of the other files for my OSSUM Jeep with 3d printed drivetrain. It requires the full front and rear axle from mrcrankyface. The axles are mounted simply with zip ties. I used a coat hangar as the source material for the steering linkage.